I love this- the colors and mix of prints are wonderful. I have the swoon pattern sitting in my sewing room, but no idea what I'd do with it... yet. 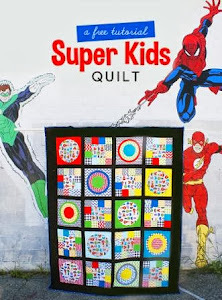 These are great fabrics, and I love your block! I'm not a big Swoon fan, but your fussy-cutting really makes this one. 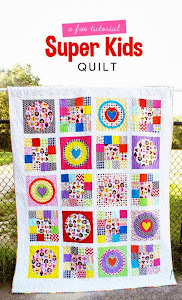 Love your fabrics color on the swoom that will make a great queen sized quilt. I agree it is great to go to retreat ready to sew! Have fun! Really, you want to make it bigger? :D This is a great color scheme - not your normal but it still reads as you. At least to me. Enjoy the retreat!!! !